Below you fill find all funeral homes and cemeteries in or near Perryopolis. Suburbs of Perryopolis: Layton, Whitsett. 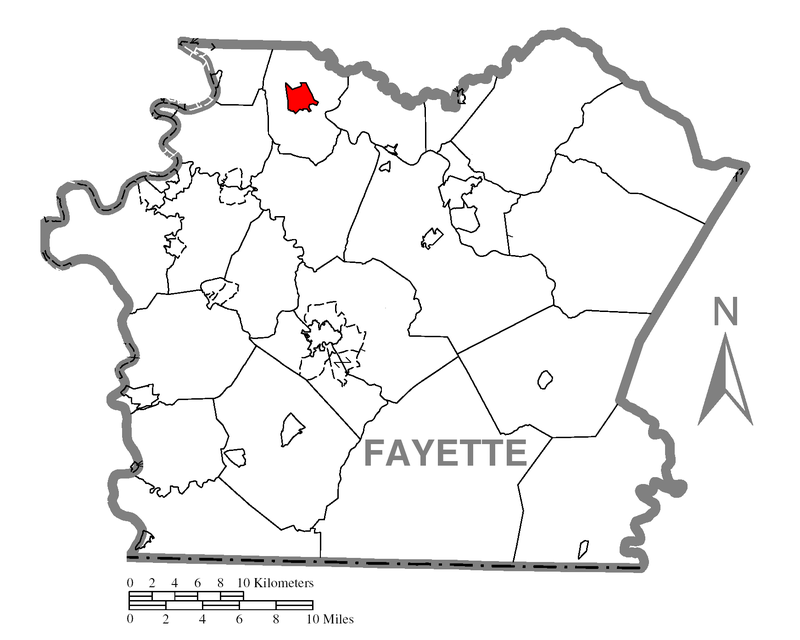 Perryopolis is also known as: Fayette County / Perryopolis borough. Their current mayor is Mayor Tim Smith. Zip codes in the city: 15473. Some of the notable people born here have been: (russell blair), (chad salisbury), and (thomas kalman). Perryopolis is a borough in Fayette County, Pennsylvania, United States, part of the Pittsburgh metropolitan area since 1983. The population was 1,764 at the 2000 census. It was revealed by Star Beacon on October 23rd, 2016 that Stephen Hancharik passed on in Ashtabula, Ohio. Hancharik was 79 years old and was born in Perryopolis, PA. Send flowers to express your sorrow and honor Stephen's life. It was reported by Orange County Register on February 28th, 2014 that Helen Rae "Kit" Stahl (Carson) perished in Mission Viejo, California. Ms. Stahl was 92 years old and was born in Perryopolis, PA. Send flowers to express your sorrow and honor Helen Rae "Kit"'s life. It was written by Arizona Republic on October 18th, 2013 that Janice Ann Dean (Baker) perished in Arizona. Ms. Dean was 75 years old and was born in Perryopolis, PA. Send flowers to share your condolences and honor Janice Ann's life. It was disclosed by Arizona Republic on October 13th, 2013 that Janice Ann Dean (Baker) perished in Arizona. Ms. Dean was 75 years old and was born in Perryopolis, PA. Send flowers to express your sorrow and honor Janice Ann's life. It was reported by Arizona Republic on October 11th, 2013 that Janice Ann Dean (Baker) perished in Arizona. Ms. Dean was 75 years old and was born in Perryopolis, PA. Send flowers to express your sorrow and honor Janice Ann's life. It was written by Republican Newspaper on November 10th, 2011 that Bonita Rae Burnsworth perished in Cumberland, Maryland. Burnsworth was 87 years old and was born in Perryopolis, PA. Send flowers to share your condolences and honor Bonita Rae's life. It was reported by Cumberland Times-News on November 3rd, 2011 that Bonita Rae Burnworth passed on in Cumberland, Maryland. Burnworth was 87 years old and was born in Perryopolis, PA. Send flowers to express your sorrow and honor Bonita Rae's life. It was revealed by Knoxville News-Sentinel on September 7th, 2011 that Paul Basil Petretzky perished in Lebanon, Tennessee. Petretzky was 93 years old and was born in Perryopolis, PA. Send flowers to share your condolences and honor Paul Basil's life. Instead of housing laborers, Perryopolis was mainly inhabited by foreman and white collar workers who were associated with the mining industry. The population was 1,764 at the 2000 census. George Washington purchased here when land first became available. However, Perryopolis developed differently than other nearby mining towns. Once the mill was finished, it encouraged other business to come to the area to support and augment the business of the mill. Washington's estate sold the land after his death; in 1814 Perryopolis, previously known as New Boston, was officially laid out using Washington's plans and named for Oliver Hazard Perry for his victory on Lake Erie during the War of 1812. Here are the results for funeral homes in Perryopolis Pennsylvania. You can find some of the best funeral homes businesses serving Perryopolis. Listing all funeral homes in Perryopolis, Pennsylvania so you can easily send flowers to any location (same day delivery) or find any funeral service. We work with local florists and flower shops to offer same day delivery. You will find budget sympathy flowers in Perryopolis here. Our funeral flowers are cheap in price but not in value.